Lucas came to us a few months ago looking for some ideas on improving his physical conditioning. 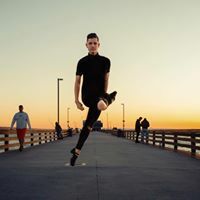 Not that he needed much help as he is a very skilled Irish dancer, so we set out to help with some of the physical attributes he was looking to achieve. He was consistent, focused and driven to continue to improve! We recently received this lovely email from him from Denver, Colorado as he is preparing for his upcoming rehearsals! 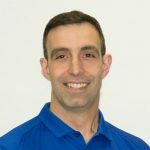 “I’m just writing to you to say a MASSIVE thank you for everything you and your team at the SPORT Specialists have done for me throughout the past few months. I’ve had the most amazing experience and you truly have the best staff! The atmosphere that you and your team have created is truly special. I felt cared for and taken care of all the time and loved working out in such a motivating and positive environment. I have noticed such a difference in my daily life since I started training at your gym and I promise to keep it up while I’m away! Patrick did a fantastic job of catering to my needs, wants and goals and was also very motivating. Marie-Ève and Arielle were fantastic in dealing with my back injury before I left and were consistently following up and checking in on me and I truly felt cared for! Thank you so much Lucas! We will be seeing you soon!